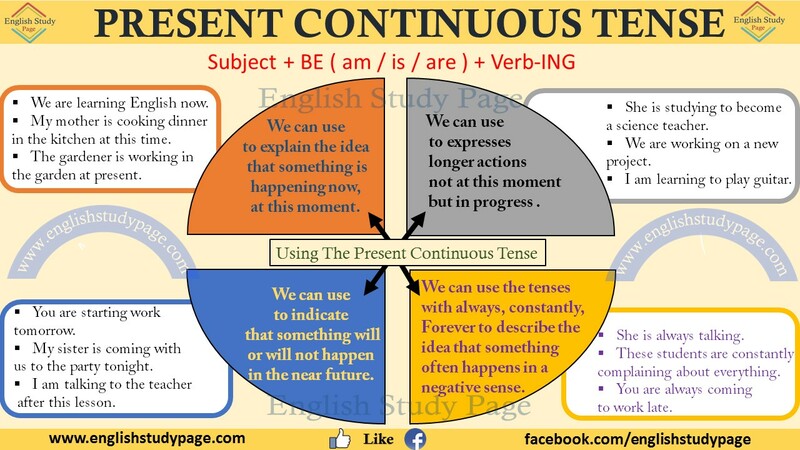 Present Continuous Tense indicate an action which is in progress at the time of speaking or at the present time. Note: Be aware of the use of the first individual person ‘ I ‘. We use ‘ I ‘ in a negative question form ‘ Aren’t I’ instead of ‘ Am not I ‘. (1) Present Continuous Tense expresses the idea that something is happening now, at this moment. She is listening the music now. We are learning English at this moment. My mother is cooking dinner in the kitchen now. The gardener is working in the garden at this time. At present, children are doing a lot of things that can not be done before. She is having breakfast at the moment. Look! A car is coming. While you are studying, I will make a cake. We will rent a flat but fort he time being we are staying at our friend’s house. (2) Sometimes Present Continuous Tense expresses longer actions not at the moment but in progress . ‘Now’ as a time marker in this situation means “this second,” “today,” “this month,” “this year,” “this century” and so on. She is studying to become a science teacher. I am learning to play guitar. (3) Present Continuous Tense is used to indicate that something will or will not happen in the near future. You are starting work tomorrow. My sister is coming with us to the party tonight. I am talking to the teacher after this lesson. (4) Present Continuous Tense used with “always’’, ‘’constantly’’, ‘’ forever’’ expresses the idea that something often happens in a negative sense. In other words, we use to complain. These students are constantly complaining about everything. You are always coming to work late. You must wake up early. He is forever speaking. Someone should silence him. 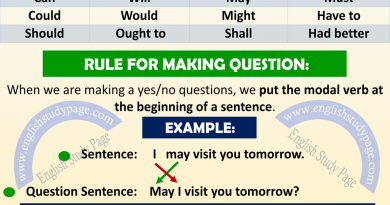 Notice: Some verbs are not used with Present Continuous Tense. These verbs are called “state verbs”. Present continuous tense shows that an action is done physically and visually. Therefore, abstract meaningful expressions such as abstract thinking, love, understanding, possessing can not be used in continuous (be + -ing) construction. These things are expressed by Simple Tense. But this different use also leads to a difference in meaning. 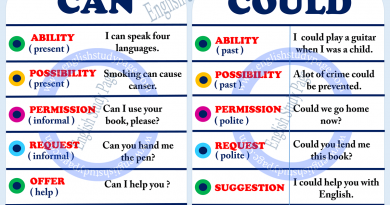 Some verbs that can be used with two different meanings are given below. 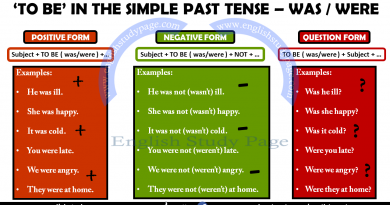 1) If the verb ends with ‘-e ‘, we remove ‘ –e ‘ and add ‘ –ing ‘ . 2) If the verb ends with consonant + vowel + consonant, we double the final consonant and add ‘ –ing ‘. 3) If the verb ends with ‘ – ie ‘, we change it to ‘–ying’. 4) If the verb ends with two consonants, we do not double the final consonant and add ‘–ing’. 5) If a two-syllable verb ends with consonant + vowel + consonant, we do not double the final consonant when the stress is on the first syllable and add ‘–ing’. 6) If the verb ends with W, X or Y or when the final syllable is not emphasized, We do not double the final consonant and ‘–ing’. 7) If the verb ends with two vowel + one consonant, we do not double the final consonant and add ‘–ing’. 8) If the verb ends with consonant + vowel + ‘-l’ , we normally double the final ‘ –l ‘ and add ‘-ing’. However, in the United States (US) they do not double the -l when the accent is on the first syllable. 9) If the verb ends with a stressed vowel + ‘ –r ‘ , we double the final ‘-r’ and add ‘-ing’. 10) If the verb ends with an unstressed vowel + ‘ –r ‘, we do not double the final ‘-r’ and add ‘-ing’. Very good for teaching children. Can you send me on email if yes please send. Thanks in advance.